Qatar will host the next edition of football's global event after beating off competition from the United States, South Korea, Japan and Australia. Since 1998 there have been 32 teams competing at the World Cup, and that is expected to be the same in three years' time. 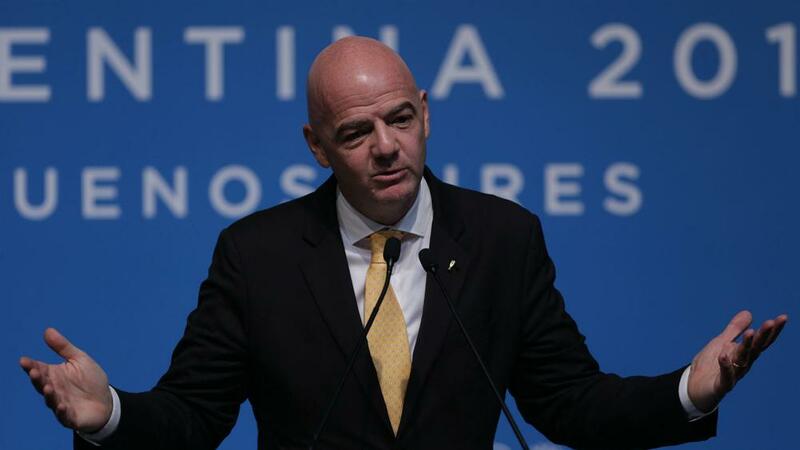 Infantino was a supporter of the expansion and the president of football's world governing body would be open to bringing the changes forward. "The World Cup will take place in Qatar with 32 teams. Obviously, if we can increase it to 48 teams and make the world happy we should try it," Infantino told the Dubai International Sports Conference on Wednesday. "If we can accommodate some of the neighbouring countries in the gulf region which are very close by to host a few games in the World Cup this could be very beneficial for the region and the entire world. "There are tensions in this particular region and it's up to their respective leaders to deal with that but maybe it's easier to talk about a joint football project than more complicated things. "If it can help all the people in the Gulf and all the countries in the world develop football and bring a positive message to the world about football, then you should give it a try."